Polka Dot Overload | Sewing, knitting & vintage projects, tips, tutorials and cartoons! : Can Home Sewing Save Us from the Evils of the Cheap Fashion Industry? Can Home Sewing Save Us from the Evils of the Cheap Fashion Industry? "Fashion largely deserves its bad reputation. It's now a powerful, trillion-dollar global industry that has too much influence over our pocketbooks, self-image and storage spaces. It behaves with embarrassingly little regard for the environment or human rights." The most inspiring sewing book I've read in years is not really a sewing book at all—it contains no patterns, no tips, no brightly colored how-to diagrams or pattern-matching instructions. Instead, Overdressed: The Shockingly High Cost of Cheap Fashion is a trip into the heart of the clothing industry of today—and yesterday—a personal history, and maybe even a bit of a slow fashion (or even slow sewing) manifesto. This book was a more compelling call to get back to my sewing machine than any of the adorable and colorfully packaged sewing how-to books and pattern books I own. Thrifting, making and mending our own clothes won't solve the global environmental, labor and human rights disaster that is the rise of the cheap fashion industry--but they can't hurt, either. (And they may be the only way that those of us on a really tight budget can opt out—to some degree, anyway—of giving our hard-earned dollars to the undeserving cheap fashion industry). 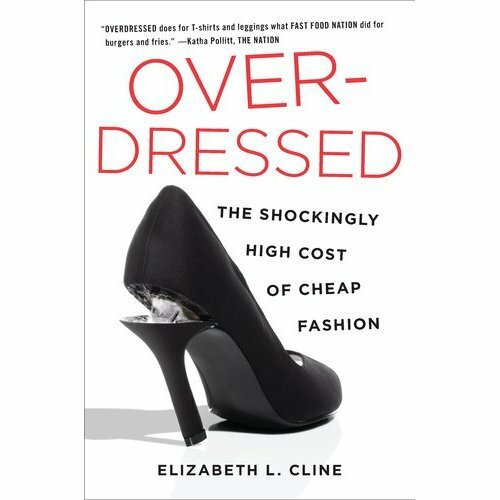 Cline does an excellent (and even entertaining) job of breaking down the life (and afterlife) of cheap fashion, and its effects on the planet, human rights, domestic clothing jobs, the economy and more. As aware as I'd like to think I am, I quickly realized I knew very little about the history and present-day reality of retail clothing production. She visits New York and L.A.'s Garment Districts, clothing factories in China and Bangladesh, thrift store charities overwhelmed with unusable donations of cheap crap, textile recyclers, vintage sellers, shuttered garment factories throughout the U.S. She talks to fashion designers, factory owners, cheap fashion addicts who post their large hauls on Youtube and luxury fashion addicts with soaring credit card debt. She also gets into the nitty-gritty of how garments are priced (underpriced at the low end, and overpriced at the luxury end), and what those costs do—and don't—include. New York's Garment District—which I tend to think of mainly as an excellent fabric shopping resource—was once actually the main factory center of retail garment manufacturing in the U.S. (Sorry if this was obvious to all of you—I never really thought about it!). One of the reasons the cost of good-quality vintage clothing has gone up so much is that it's one of the last ways textile recyclers (who purchase unsold second-hand clothes and rags from Goodwill and similar charities) can actually make any money, since most of the clothes they receive are worthless poorly-made H&M-esque crap. In the 1990s, 50 percent of clothing purchased in the U.S. was still made in the U.S. Now it's more like 2 percent. (Quoting this from memory, as I don't have my copy of the book in front of me). Throughout Overdressed, she also talks about the rise and fall of home sewing and mending—which used to be the main way women of modest and middle incomes were able to afford to keep their clothes up-to-date and in good repair. Towards the end of the book, Cline talks about the resurgence in home sewing and interviews a few sewists and make-do-and-menders, and even buys her own sewing machine. "My opinion on home sewing is that it’s already so much more sustainable than buying off-the-rack clothes from a huge chain store. Home sewers are part of the solution, not the problem. I know that resources for home sewers have dwindled over the years. Parts of the country don’t even have fabric shops. I think the more immediate goal should be to grow the number of home sewers before we tackle issue of where their fabric is being sourced." What inspiring sewing reads have you picked up lately? P.P.S. One thing to remember—which I forgot to mention above—is that no matter how cheap a garment is, it was NOT spit out by a magic garment-making machine. Someone, somewhere, somehow, physically sat down at a sewing machine and sewed every seam on that $2 tank top or that $5 T-shirt. I haven't read this book because books like this make me crazy and obsessive. That is kind of how I became vegan. Anyway I went to fashion school because I wanted to make organic ethical apparel. Then I took a textile class and every time I buy a conventionally grown cotton garment I feel a little ill, but organic cotton denim is expensive for my budget at the moment and my girls grow to fast to buy a new set of organic cotton clothes every 3 months. I have made a huge plan for sewing back to school clothes this month. My littlest Miss who just turned 2 is on a big kick of staying up super late too. I am blaming the 2 year molars though since we co-sleep. Huh... this book DID make me crazy and obsessive, now that I think of it, mainly because of all the other reading it led me to. I can't blame molars because my 2-year-old already has all her teeth, but I think for her it's eczema... when she starts to feel sleepy... that's when the itching is the worst, and it wakes her up repeatedly. We coslept until she was 17 months, then stopped because she kept kicking my husband so much he couldn't sleep. I've been cosleeping with her on and off to help her sleep through the itching. Oh, and I hear you about the fast-growing little kids. I've been trying to get most of my daughter's clothes second-hand (luckily she has a three-year-old friend whose mom always gives me hand-me-downs) but she she outgrow her shoes every few months, and I'll need a fall and winter coat for her, too. I don't have the cash for organic ethical apparel there at all. I also haven't really figured out what to do about my husband's clothes... he doesn't like wearing thrift store stuff (mainly because he doesn't want to spend hours scouring the racks, and the offerings aren't usually as good as for women's clothes) and I don't have time to sew anything for him. Great post - Makes me want to run out and get this book. I'm afraid I'm like Cosmo, though, it will probably drive me crazy as I turn the pages. 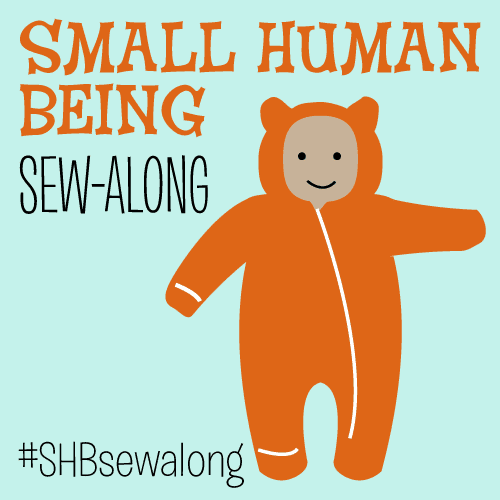 I've sewn all my life, and am very active in the local ASG (American Sewing Guild) promoting the love of sewing. I'm very happy to see a new fabric store pop up in our local area after many years of good fabric drought! On a side note, when my son was very young he learned to climb out of his crib. We took the crib down and put the mattress on the floor, put a baby gate across the doorway- allowing him to roam his room and stay up as much as he wanted, but he could not come out to be with us in the living room since it was bedtime. After a few nights, he played a bit and then just decided it was no fun and went to sleep.. sometimes on the mattress, sometimes not. It's totally worth the wait! Thanks for such a comprehensive review--it just affirms my desire to read this book. It would take a huge societal shift for people to accept (and be able to afford) the "true" cost of clothing, food, and durable goods. Until then, sewists are part of the solution! I just discovered your blog. Great article and it's true. I hate shopping anymore--clothing I can afford is so crappy. I am moving toward reclaiming my seat in front of my sewing machine and serger. I just ordered a coverstitch machine (luv knits). Walking away consumer slavery and not looking back. Thanks for the review. Good post! This book has been on my to-read list since I first heard about it. I loved Omnivore's Dilemma, and it definitely changed my eating habits for the better, both in terms of diet and ethical eating. But I'm definitely worried about the impact this book could have on my wardrobe. I don't buy H&M or Old Navy type fashion because it's just so cheap and badly made. But I'm not sure I could afford or limit myself to only ethically produced, environmentally neutral clothing or fabric either. *sigh* I wish I had more time to sew! So....I've been thinking about this post for awhile, specifically your PPS - that our garments weren't made by a magic machine, that someone had to handle the garment we are wearing at this very moment. I haven't bought clothes in quite some time, but the clothes I do have need to be appreciated. I think I took advantage of such readily available clothing when I did shop, and now that I don't (because I want to make everything), my eyes have been opened up to the cost of clothing, how long it's lasting, and especially who has a hand in making it. Also, I think it's high time I picked up a copy of the book. And taught my nieces how to sew. Possibly nephews too but only if there a video game about sewing. Ah, kids - they grow up so fast! Name the Cake Patterns cover girl!